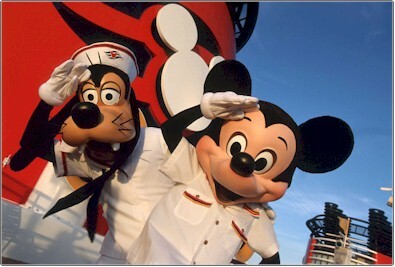 The Disney Cruise Line – What you need to know. Cruise vacations are very popular but the Disney cruise vacation offers the best of Disney magic, wonder and fun with a luxury Caribbean cruise. It’s not just for families but Disney offers a very family friendly cruise with lots of getaways for adults traveling without children. It is the perfect mix of Disney and luxury catering to everyone at once! All the ships are equipped with a nursery for infants aged 12 weeks to toddlers of 3 years. For kids up to age 7 there is a special club with dress-up rooms, character visits and lots of supervised activities by the specially trained Disney staff. For pre-teens the ships all have a computer room and games room with all kinds of gadgets to keep them occupied. Parents need not worry they receive a pager when they drop of their kids at the clubhouses but they rarely go off! The kids enjoy their time away from Mom and Dad just as much as the parents and grandparents enjoy their time apart.Teenagers have their own special lounges and cafes where they can hang out and adults have sever spots including lounges, bars, an adult’s only pool and adult’s only dining rooms and restaurants to keep them entertained. Disney cruises are not tacky Disney decor and cartoon feeling environments. The ships are decorated in a very elegant and luxurious style reminiscent of old ocean liners and the Disney touch is subtle and suitable for a luxury cruise vacation. The rooms are very well organized and comfortably furnished no matter what size. Most of the units are outside the ship and many have balconies. However the few inside cabins have virtual portholes giving the appearance of an outside view with a few magic Disney surprises. If you are planning a dream vacation you may want to consider a Caribbean cruise with a Disney touch for an entertaining yet exotic adventure. Seriously, That's So Raven is hilar. Best show that's ever been on Disney Channel…. I want to go to disney land today!!. I really love the Disney Channel!